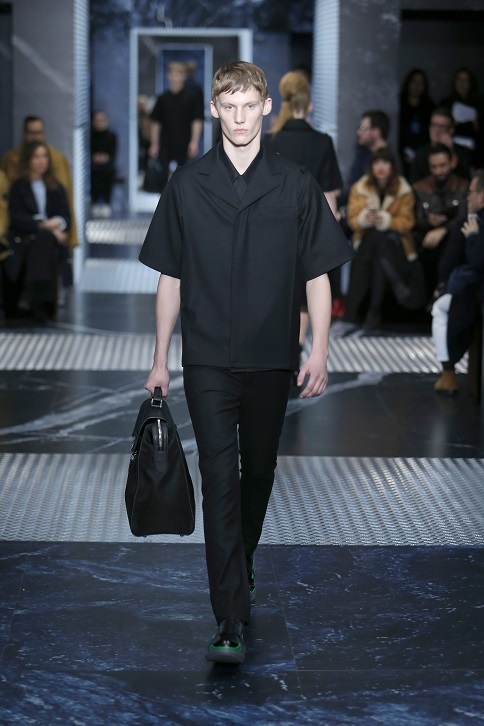 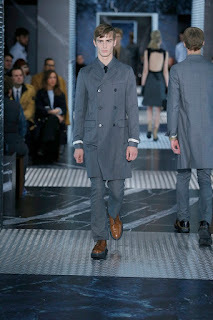 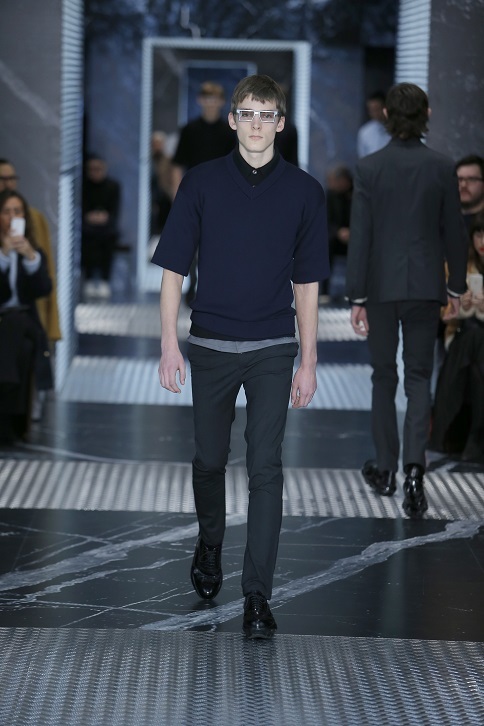 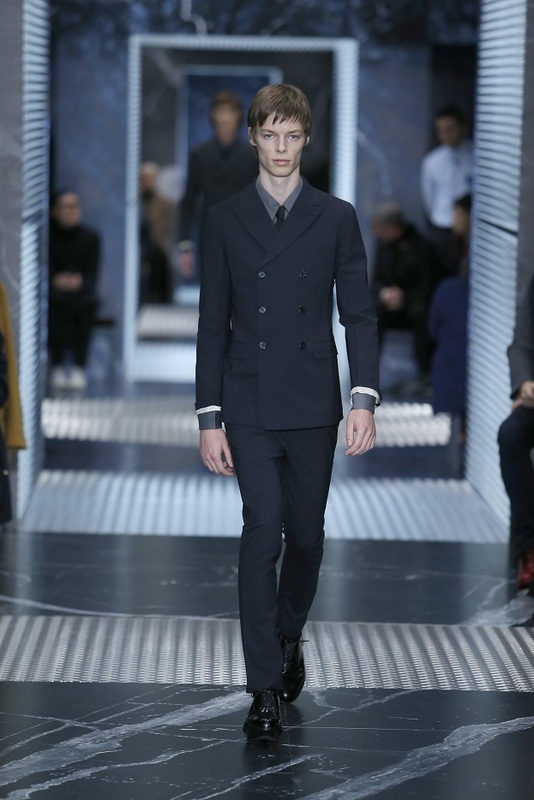 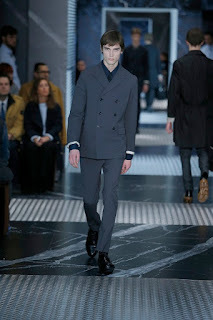 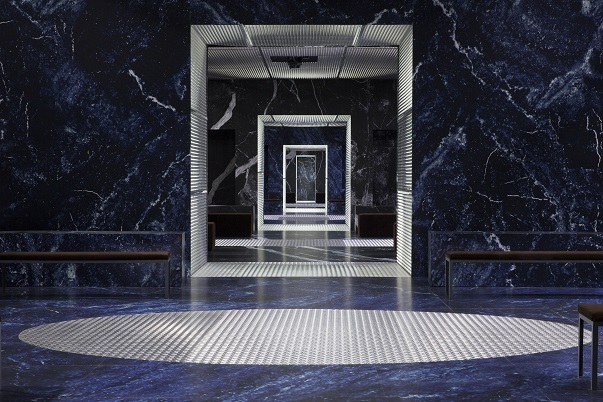 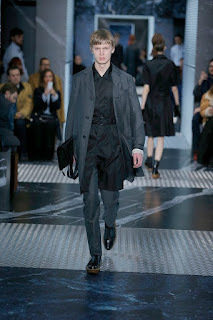 PRADA FW2015 Men Collection questions male-female relationship and the influence that men's fashion has on women's fashion and vice versa. Explores a new theme for the Prada's men's show by getting a chance to think about how the same concept can be reinterpreted for women. 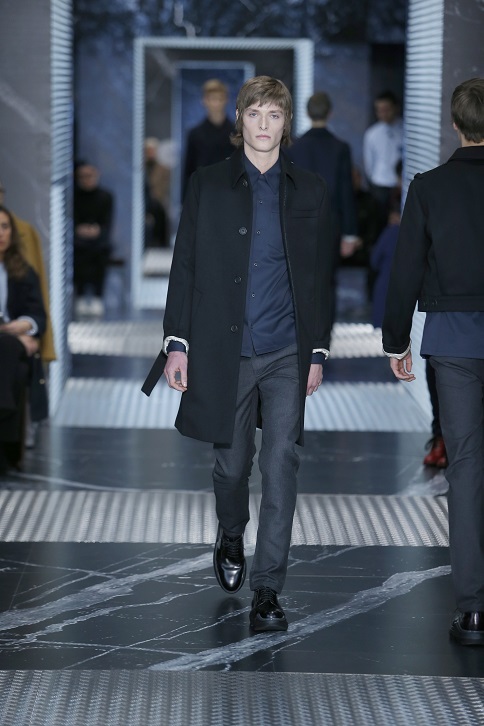 30 men and 20 women on the catwalk highlight this research. 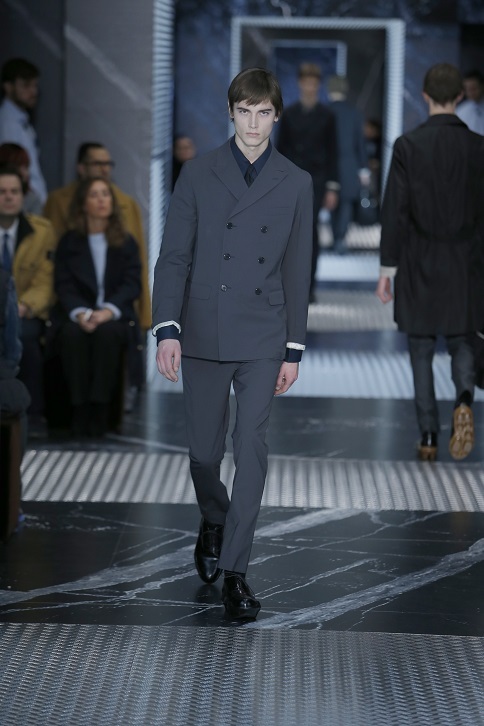 In perfect Prada style, a supremely elegant, simple and clean silhouette dominates with added touches suggestive of uniforms. 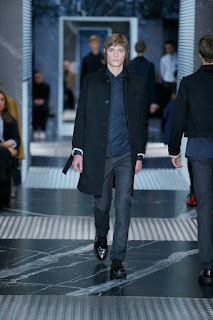 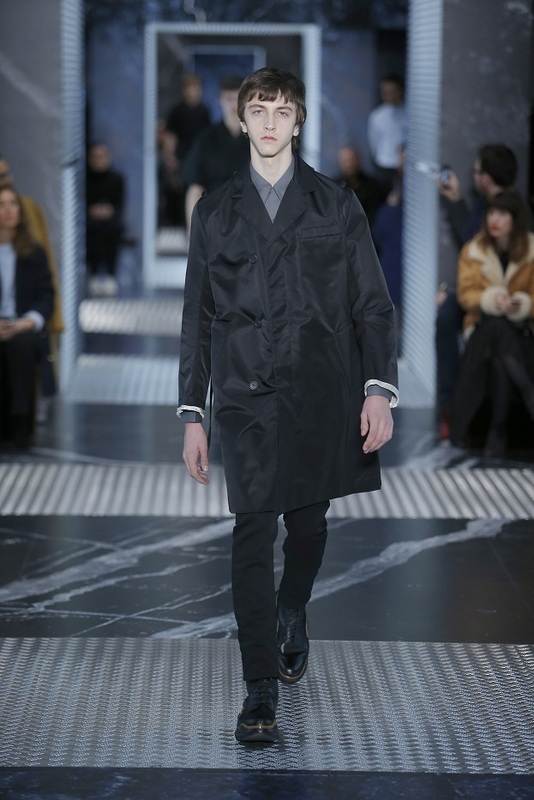 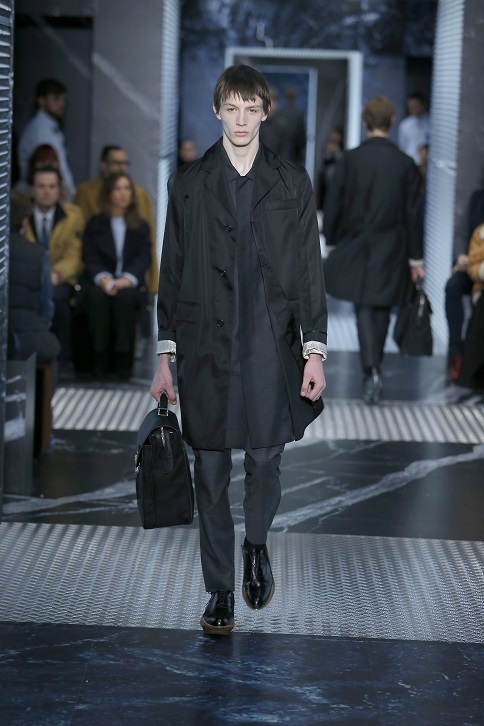 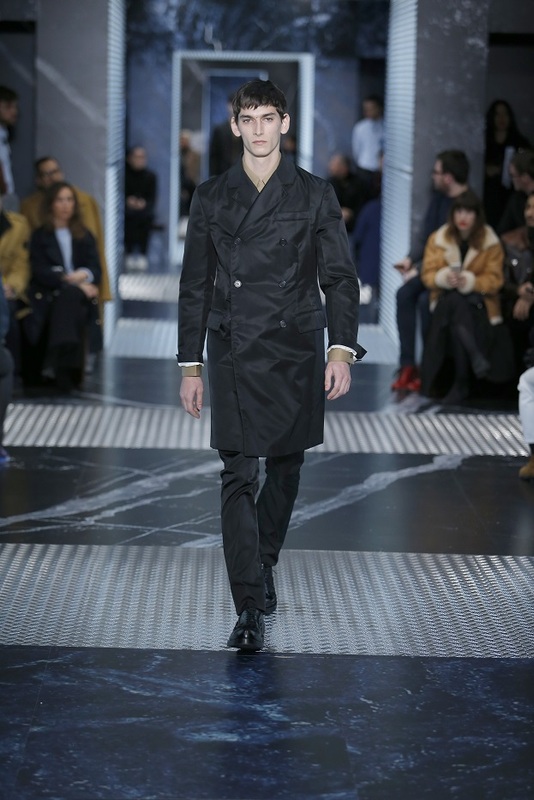 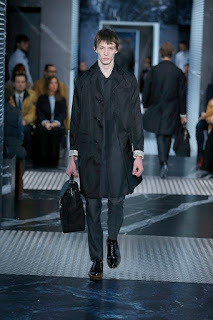 Overcoats and men's and women's pieces are presented in dark black, blue and grey tones. 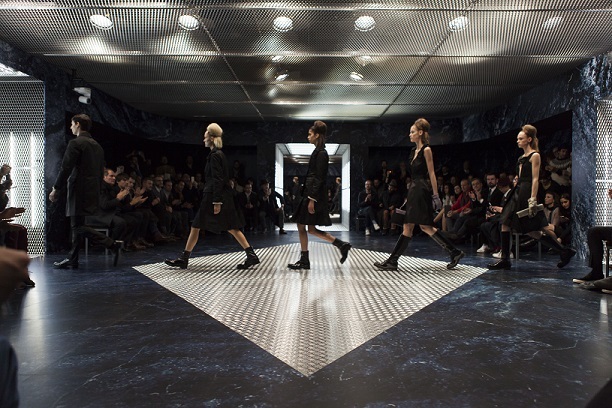 Masculine details, like epaulettes are transformed into gros-grain bows and ribbons in the women's ready-to-wear. 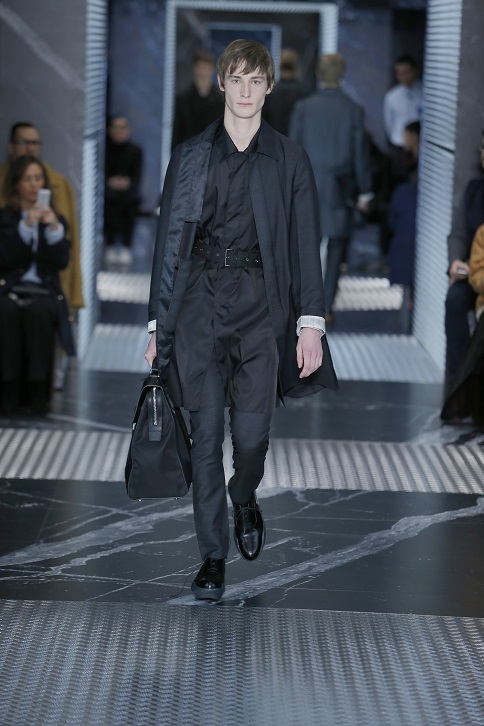 Alongside textured fabrics and wool, the choice of the iconic Prada black nylon plays a key role, used also in eveningwear to add a touch of modernity to feminine elegance. 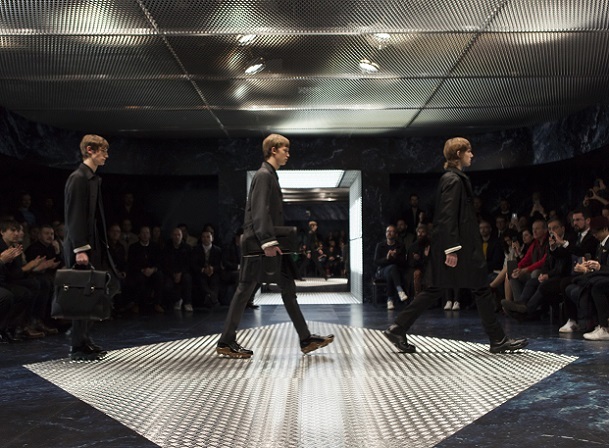 The bags are in plaid printed nylon and saffiano leather. 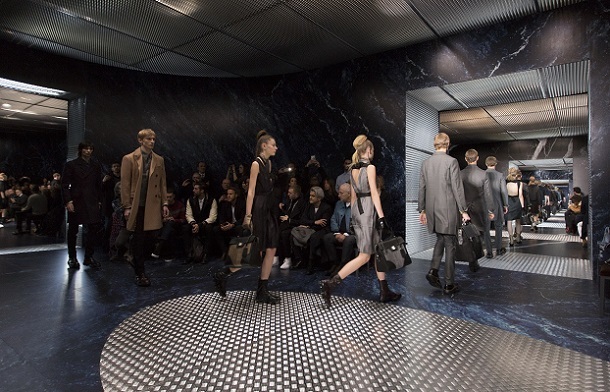 Even the men's and women's footwear is similarly inspired by classic shapes enhanced by a modern sole.